Zululand is exceptionally bred being from the Group 2 winning Hennesey mare Dream Play. 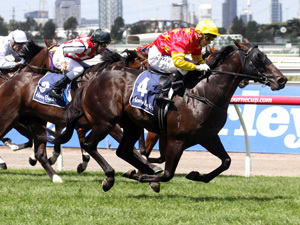 Dream Play is a half sister to Group 1 winner Diplomat Lady with the family being filled with stakes performers. Zululand was trained by David Hayes and immediately showed his ability as a 2YO winning the Group 2 Sires Produce Stakes at Flemington convincingly. 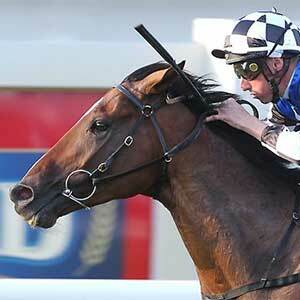 On this day he defeated subsequent Group 1 winners Awesome Rock, Malaguerra and Stratum Star. Zululand was then taken to Sydney where he ran a gutsy second in the Group 1 Champagne Stakes after sitting outside the leader the whole trip only to be over ran late in the final stages of the race. The Group 1 winning Mawingo will again be standing the 2018 stud season at Grenville. Mawingo has proven he is a top class international galloper winning in Germany, Singapore and Australia including the Group 1 Doomben Cup and running an unlucky second in the Group 1 C. F. Orr Stakes behind All Too Hard. Mawingo also has an outstanding pedigree to match and we are very fortunate to have him standing at Grenville and are sure that he will be very popular with breeders. At Grenville we offer a professional service with competitive rates, 24 hour foaling facilities and a veterinary hospital located just 15 minutes away. With an exciting line up of sires we are sure we have a stallion to meet your needs so please contact us to discuss your options for the forthcoming breeding season.